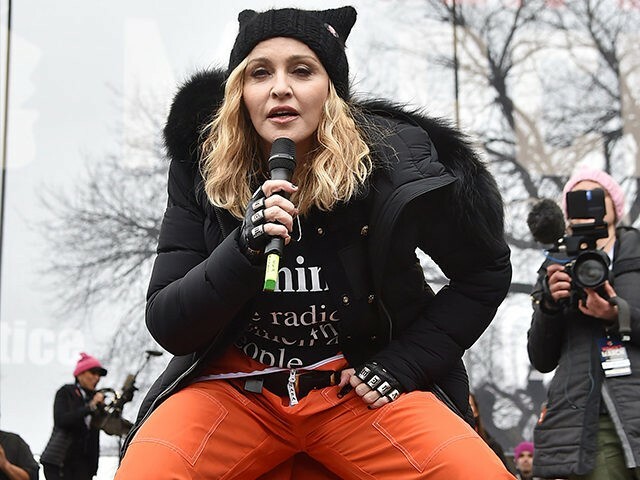 President Donald Trump thought Madonna’s Women’s March speech was “disgusting” and did damage to the opposition movement, he said in an interview Thursday night. “Yes, I’m angry. Yes, I’m outraged. Yes, I have thought an awful lot about blowing up the White House, but I know that this won’t change anything,” Madonna told the crowd, to roaring applause. The comment reportedly led the Secret Service to open an investigation into the singer, and at least one radio station has vowed to ban her music from its airwaves. The 58-year-old singer was a vocal supporter of former Democratic presidential candidate Hillary Clinton throughout the 2016 campaign. In an interview with Billboard magazine in December, Madonna compared Trump’s victory to the death of a loved one, and said she’d had trouble sleeping since the election.